Migraine tends to intensify my creative impulses. If I am painting in the midst of an attack, my pictures become visually more saturated. If I am writing ghazals, they become deeper. If I am writing prose, it becomes sharper. I cannot explain why. My latest attack began the day before yesterday and is on its way out because of several painkillers. Normally, it lasts four days and more if I control the intake of painkillers. However, with age I can no longer separate my working life from my migraines. 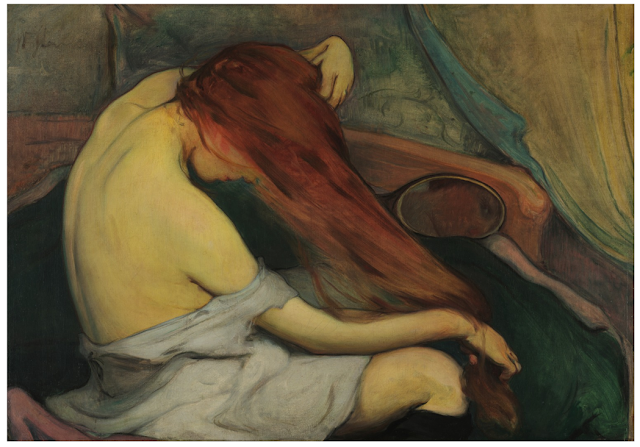 Yesterday, I chanced upon a chighly accomplished 1909 painting titled ‘Woman combing her hair’ by a Polish painter called Władysław Ślewiński. 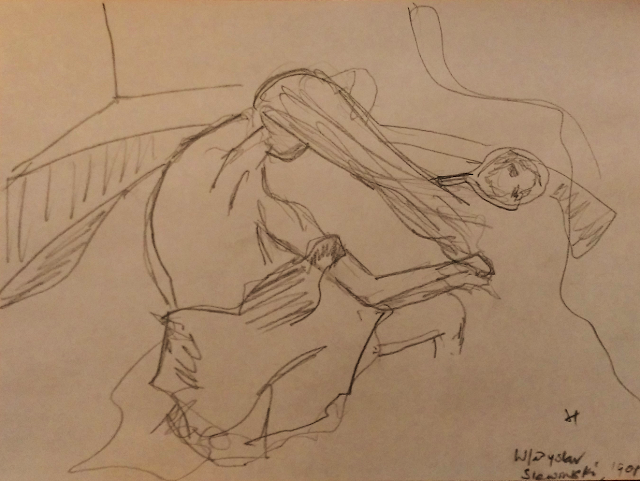 That prompted me to first sketch it in pencil on paper. 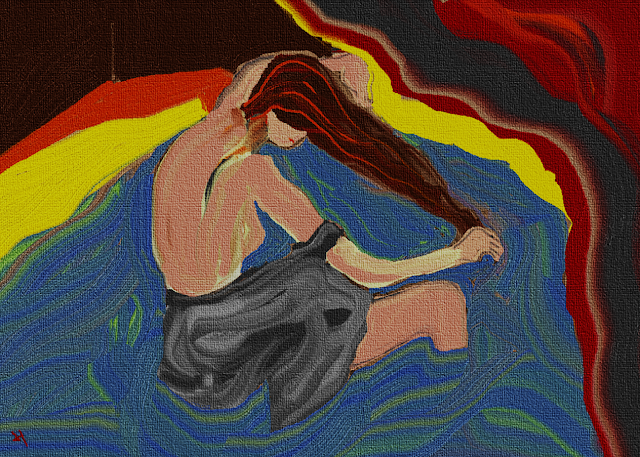 That pencil sketch was photographed and transferred to my computer where I painted on it using Fresh App. I knew my colors would be saturated because of my migraine. As you can see, they indeed are. I finished the portrait around 9 p.m. and went to sleep only to be woken up around 2 a.m. with a poem forming in my mind. The migraine was very much swirling around. The poem began, as it usually does, in Hindi/Urdu but I would spare you that version and offer only a couple of verses in English that formed almost simultaneously. That should be all for today.